You know what’s not a good business practice for a car dealership? Referring to an older male employee as “old man,” “pops,” and “old mother******” and then steering car sales away from him to younger employees. Age discrimination is serious business, yo. Dediol, a Christian aged 65, alleged that the used car sales manager (named Clay) routinely threatened and cursed at him in the workplace. By way of example. After that date, Clay never again referred to Dediol by his name, but instead called him names like “old mother******,” “old man,” and “pops,” up to a half-dozen times a day until the end of Dediol’s employment. On Dediol’s final day of work before resigning, Clay proclaimed, “I am going to beat the ‘F’ out of you,” and “charged” toward Dediol in the presence of nine to ten employees. Based on the foregoing, Dediol alleged, among other things, that his employer had violated the Age Discrimination in Employment Act (ADEA) by creating a hostile work environment. 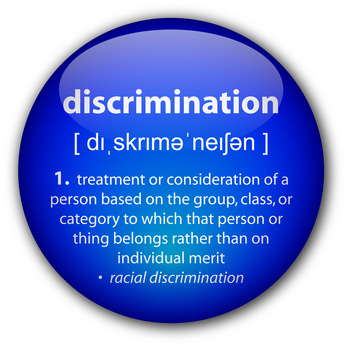 Title VII of the Civil Rights Act of 1964 makes it unlawful for an employer to discriminate against any individual with respect to his compensation, terms, conditions, or privileges of employment. One way in which employers run afoul of Title VII is by creating a hostile work environment. A hostile work environment is one in which an employee is subjected to severe or pervasive harassment as a result of his membership in a protected class, where the alleged harassment is both subjectively and objectively unwelcome. Additionally, the employer must have known (or should have known) of the harassment and failed to take prompt and remedial action. See anything missing from that list? Hint: It’s age. Now, I know what you’re thinking: What’s the big deal? Can’t a plaintiff assert a viable hostile work environment claim under the ADEA? Well, apparently, those waters are largely uncharted. Who knew? I checked the Philadelphia-based Third Circuit (PA, NJ, DE, USVI) model jury instructions and, while they do contemplate ADEA hostile work environment claims, the comments confirm that there is no Third Circuit case law on this subject. Accordingly, it wouldn’t be a stretch to permit a plaintiff to pursue a hostile work environment claim under the ADEA. Accordingly, the Dediol Court held that a plaintiff may pursue a hostile work environment claim based on age discrimination under the ADEA. Takeaway for employers: Don’t condone behavior against older employers which could be construed as creating a hostile work environment. Also, be sure to include in your anti-harassment training tangible examples of ageist behavior that could lead to hostile work environment claims.